As I'm sure many Johnstown Tomahawks' fans are now aware, the team is looking for a new head coach as they announced yesterday that the team would not be returning Jason Spence as head coach next season. Tomahawks' assistant Mike Letizia will assume head coaching duties in the interim but is not being labeled as the Interim Head coach. The team is currently talking with a lot of people interested in the job and are setting up interviews for the position. Letizia is expected to be one of the men hoping to interview for the job. Many people who followed the team expected that this might be a possible move the team would make after the Tomahawks lost in the first round of the playoffs again this year, and completely fell apart the last few months of the season. The Tomahawks only won two of their last 15 games of the year. Johnstown was a team that looked to have a lot of talent at the beginning of the season, and at one point had a record of 20-12-2, which was good for second place. Then for whatever reason it all went down hill and the team finished with a record of 28-27-5. Jason Spence was a fan favorite when he was a Johnstown Chiefs' player. He was also great in the community and help build the Tomahawks' to where they are today on and off the ice. No doubt he'll find a job elsewhere and have many good season ahead of him. The journey though with the Tomahawks is over. We expect the team to find a new coach within the next month as the team will hold their first off season tryout on May 30- June 1, which will then lead to the 2014 NAHL Draft. It would make sense to have the tryout and draft with a new bench boss so he can build his team. You can read the team press release here, or you can see the Tribune Democrat article here, featuring quotes from Spence and Boyd. In the Tomahawks' short two year tenure in the NAHL, the team has made the playoffs both season. Both times Johnstown faced the Port Huron Fighting Falcons and were eliminated after the first round. Last season the Tomahawks lost the best-of-three series 2-1, and this year they were swept in the best-of-five series 3-0. Now the tables have been turned on the Fighting Falcons who finished this season in first place in the North Division. Facing the Michigan Warriors in the second round, after two games, Port Huron has found themselves down 2-0. To make things worse, Port Huron has yet to score a goal against Michigan and Warriors goaltender Trevor Gorsuch. In game one Port Huron and Michigan played a three-overtime game where the Warriors would find a way to beat Port Huron 1-0. The game winning goal came at the 5:37 mark of the third overtime by Colin Larkin with the lone assist going to Jon Farkas. 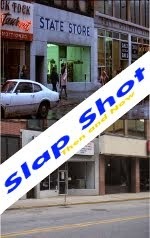 The following night, the two teams played another tight hockey game with the game winning goal coming in the first period. Tyler Groat beat Max Milosek around the ten minute mark to give the Warriors a 1-0 lead. Michigan would add two more goals, one in the second period scored by Tyler Groat (second of the game) and then an empty net goal in the third period by TJ Stuntz. Now the series shifts to Michigan for game three on Friday. If Port Huron wins, game four will take place the following night on Saturday. The teams will travel back to Port Huron only if the Falcons can find a way to tie the series and force a game five. In that scenario, the two teams will then play on Sunday. 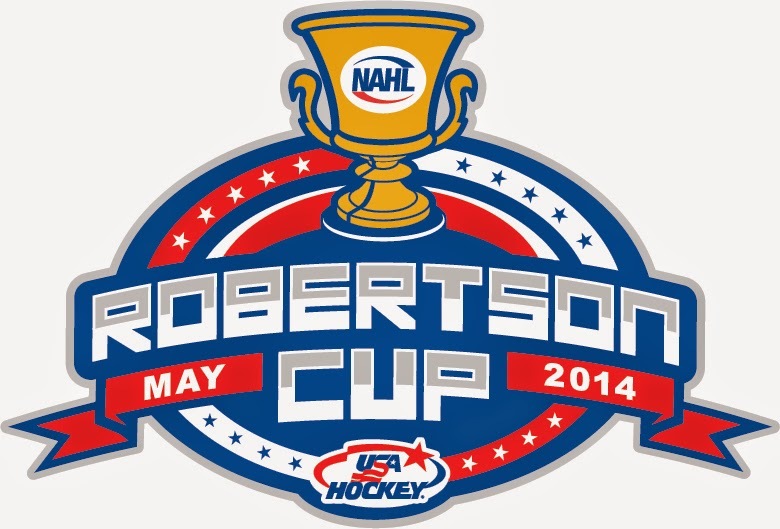 The Warriors have yet to lose in the NAHL 2014 Robertson Cup Playoffs. Trevor Gorsuch has appeared in every game and has a saves percentage of .972. One more win and the Michigan Warriors will be the 2013-2014 North Division Champions. Last year that honor went to the Jamestown Ironmen. The Johnstown Tomahawks second season in the NAHL has come to an end in a loss to Port Huron, 4-3. Port Huron has swept the Tomahawks and will advance to the North Division Finals where they'll play the Michigan Warriors who also swept their series vs. the Janesville Jets. This season saw many highs on and off the ice, and saw a few lows. In the next upcoming weeks, we'll take a look at all of those in our End of Season wrap up. We'll have player stats, game by game review, our scouting report on all the players that played for Johnstown this season, and much much more. Until that time, we're going to take a week or two off from the site (unless there's breaking news to announce). We'll give you updates on the Port Huron/Michigan series on Twitter and Facebook. After we come back from break, we'll probably do a formal 2014 Playoff review and look back at this series. The Tomahawks didn't play terrible in this round vs. Port Huron and with all three losses coming from a one goal differential, if the Tomahawks got the lucky bounces it would be Johnstown going to the second round. You have to give credit to Port Huron as they're a very good team. Max Milosek was one of the major factors that kept game three out of Johnstown's reach, as he came up big several times in the third period, including a last second breakaway save on Jordan Watt. Alex Okicki made his last Johnstown Tomahawks, and junior hockey appearance in the third period, turning away all six shots he faced (NAHL shows Okicki played the whole game, but he only came in to start the third period. Brett Young played the first two). Seven of the Tomahawks won't be back next season as they are now to old to play at the junior hockey level. That doesn't mean the remaining players on the roster will be back next season. When we return from our short break that's another thing we'll take a look at, the tenders, upcoming NAHL draft, and players that might play elsewhere next season. For now, we're going to reflect on the season and recharge our batteries to get ready for a busy offseason and then the 2014-2015 season. Till then, it's been a fun season, and we cannot wait to see what the next few months have in store. It's do or die time for the Johnstown Tomahawks. This weekend the Tomahawks are back home after dropping the first two playoff games in Port Huron last weekend. Currently, the Fighting Falcons are up 2-0 in the best-of-five series, which means one more win by Port Huron and they advance to the second round of the NAHL playoffs. Game three this is tomorrow night (Friday) and if the Tomahawks can win game four will take place again in Johnstown on Saturday night. After the first two games of the series, we wrote a post about how one of the bright spots this playoff series has been Brett Young. Once again this weekend, Young will have to continue his great performance to give Johnstown the best chance to win. If Johnstown pulls even in the series, the last game, game five will take place back in Port Huron on Monday night. In case you were wondering the officials on Friday night will be, linesmen Jake Davis, John Waleski, and referee Sean MacFarlane. If there's a game four, the linesmen will be the same but the referee will be Jonathon Paradise. The other match-up in the North Division has Michigan up over Janesville 2-0. They will also faceoff against each on tomorrow and possibly Saturday. The first round of the NAHL playoffs is a best-of-five series, which means the team that gets three wins moves on to the next round. After the first two games in Port Huron this past weekend, the Fighting Falcons are up 2-0. One more win for Port Huron and they advance to the North Division Finals. Johnstown now must find a way to battle back and win the next three games in a row. It'll be tough as the team has not won three games in a row since February 14-21, 2014. In those three games, the Tomahawks beat Michigan (twice) and Wenatchee once. Since that three game winning streak, the Tomahawks have played twelve games, winning only twice. The good news is that Johnstown has played pretty well this season at home, and that's where game three, and possible game four, will take place. Also, Johnstown only lost both games in Port Huron by one point and in game two they had a two goal lead at one point in the game. Brett Young did not see much playing time during the regular season. In the few games he played he had a record of 0-5-0 and a save percentage of .867. In hockey, a save percentage of .900 or above is considered good. When Alex Okicki could not play due to injury, Johnstown turned to Young, who is still trying to find his game and his first win in the NAHL. The team and coaching staff have confidence in the goaltender, but up to this point he has not played up to his potential. Young still hasn't found his first win yet, and after two playoff games has a record of 0-2, but he has stood on his head giving his team every chance to win. Young currently has a save percentage of .920. That save percentage is better than Milosek's (.905) or Blankenburgh's (.917). You've got to believe that each game Young plays in will only build his confidence, and if Johnstown can find a way to keep living for another day, this could be bad news for Port Huron when it comes to trying to put pucks passed Young. Johnstown is 0 for 5 on the power play after the first two games, and Port Huron is 1 for 10. All season long Johnstown's penalty kill has not been that great but has looked much better in the playoffs. Johnstown needs to get the power play clicking in the playoffs and score on their chances. This can give them that extra punch to even the series. In game one Johnstown lost by the score of 3-2. They had goals from Tanner Barnes and Jordan Watt. In game, two Johnstown lost in overtime by the score of 4-3. They had goals from Watt, Reinholz, and Recktenwald. Again, taking a look at things in a "glass half full" way, the Tomahawks' regular season point leader, Shane Bednard has yet to register a point. Nor has Matt Meier, but if these two players pick up a few points on top of Watt and Reinholz's production, that can only mean good things for the Tomahawks. The Tomahawks did not get outplayed in Port Huron which makes us believe that they've still got a chance to send this back to Port Huron for a game five. On Friday the Tomahawks' have to lay everything on the line because that's just what's on the line, everything. Win, and they live to play again on Saturday night. Lose, and that's a wrap on the 2013-2014 season. In the other North Division series, Michigan is up 2-0 over Janesville. The Tomahawks begins their hunt for the Robertson Cup Championship tonight as they take on Port Huron in game one of the North Division semi-finals. Port Huron is ranked in the first seed, and Johnstown is in the fourth. These two teams are no strangers to each other, having met last year in the playoffs and 12 times during this year's regular season. Johnstown dropped their first ever playoff series last season, two games to one. This year the Tomahawks and Port Huron have been pretty evenly vs. each other as Johnstown posted a record of 6-5-1 this season vs. the Fighting Falcons. If Johnstown can earn a split in Port Huron that'll put them in a good position coming back home to the War Memorial Arena. Can the Tomahawks take both games in Port Huron? Yes, but it's going to take a team effort and a full 60-minutes. That's exactly what head coach Jason Spence has been preaching to his team about this first best-of-five series. Today in the Tribune Democrat the Tomahawks' talked about what they expect to do in Port Huron and how they'll find success. You can read that article by Mike Mastovich here. Alex Okicki will be a game time decision as he is still listed by the team as day-to-day with his lower body injury. WJAC-TV had a report on the Tomahawks before they headed to Port Huron, and the players know that if they play Johnstown Tomahawks' hockey they'll find good results in Port Huron tonight and tomorrow. Here you can find the video of that report and the article attached, as well. Mitch Hall led the Tomahawks this season vs. the Fighting Falcons scoring nine points (1 goal, 8 assists). Alex Okicki has played eight games this season vs. Port Huron posting a record of 4-3-0 and a save percentage of .902. Brett Young played one game vs. 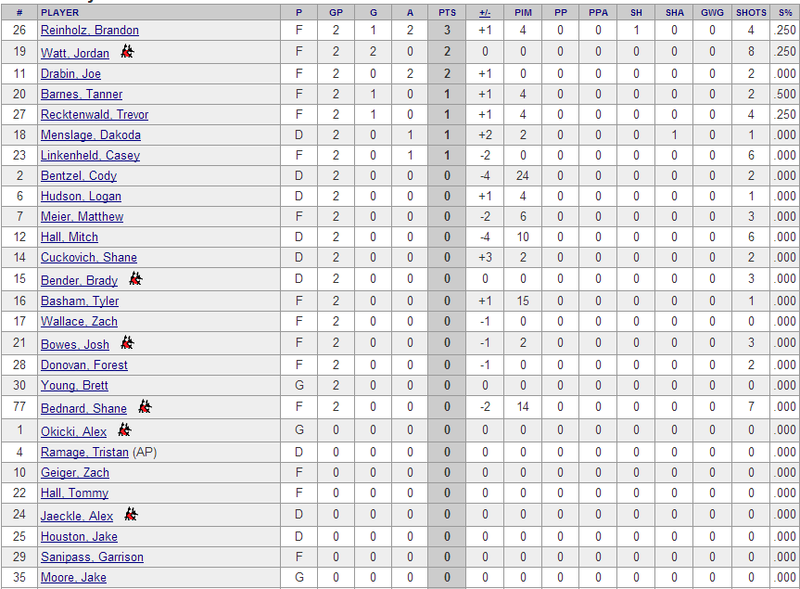 Port Huron and posted a save percentage of .894 in the loss. For Port Huron Zach Badalamenti led his team in scoring against the Tomahawks, posting 11 points (4 goals, 7 assists). Max Milosek has played eight games vs. Johnstown this season posting a record of 5-1-1 and a save percentage of .934. Alex Blankenburg played four games and had a record of 1-3-0 with a save percentage of .915. Last year the Tomahawks dropped game one of the playoffs in Port Huron by the score of 3-0. Port Huron had goals by Ryan Nick, Mitch Maloney, and Rick DeRosa. All three players are not on Port Huron's roster this year. Game two saw Johnstown tie the series up to force a final third game. Johnstown won 2-0 and had goals from Jeff Bergh, and Cobi Smith-Mass. The third game, which took place in Johnstown, had the Tomahawks leading 3-1 in the 3rd period, only to give up two goals that sent the game into overtime. 3:28 into the first overtime period, Port Huron's Ian Miller scored a wrap-around goal on Chris Truehl to give the Fighting Falcons the win, and knocked the Tomahawks out of the 2013 Robertson Cup playoffs. In the game for Johnstown, Brandon Reinholz, Cody Gylling, and Mitch Konoty scored goals. Port Huron had goals from Mitch Maloney, Rick DeRosa, Brett DAndrea, and Ian Miller. Max Milosek played all three games vs. Johnstown last season. 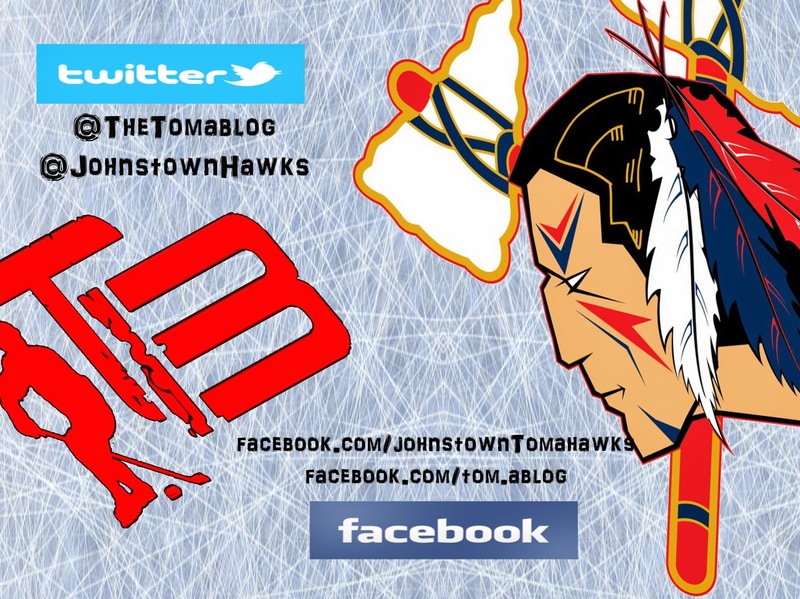 The Johnstown Tomahawks have the official game one preview that you can read here. You can get live updates from tonight and Friday night's game from the Tomahawks' official social media accounts on Twitter and Facebook. 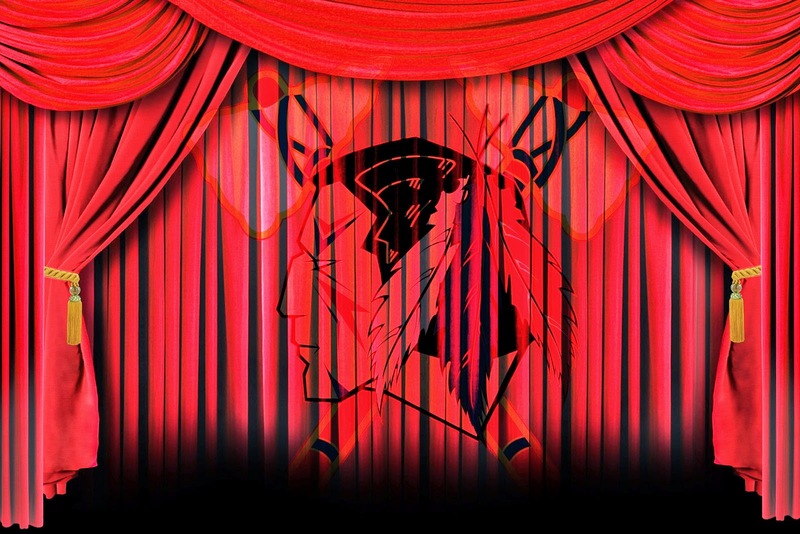 The Tomahawks will provide their own play-by-play for the game on their fasthockey.com webcast. When you order, the game make sure to select the "away" feed.